Money is a big focus for me. While we both recognize the importance of good personal finance habits, it's fair to say that I'm more of the money person in our marriage. Even before this trip, I tracked our expenses, created budgets and wrote regular email updates to Nate on how we were spending and saving. His usual response was, "Do you log into our bank accounts like... everyday?" It's no surprise that I've been tracking our trip expenses. Every single cup of coffee, plane ticket, late-night ice cream purchase has been entered and reported. I'm using an app called Trail Wallet designed by fellow travelers and digital nomads at Never Ending Voyage. The app allows you to set daily spending goals and enter and tag expenses along the way. It even sends you little reminders and notes of encouragement when you're sticking to your budget. A screenshot of my Trail Wallet app. Here's our spending breakdown for our first month on the road traveling through Colombia and Ecuador. These expenses cover EVERYTHING from dinners out to flights to any bills we're still covering back in the U.S., and they represent what we spent for both of us. I'm not surprised that this number is so high given how much we like to eat. At home, food is almost always our largest expense as well. It's harder to manage this category when traveling because for large stretches of the month, we didn't have access to a kitchen, which meant we ate out a lot. Some highlights: fresh ceviche from a vendor on the beach in Colombia ($4), steaks and red wine at a parrilla in Medellin ($35) and grilled octopus at a modern Ecuadorian restaurant in Cuenca ($12). 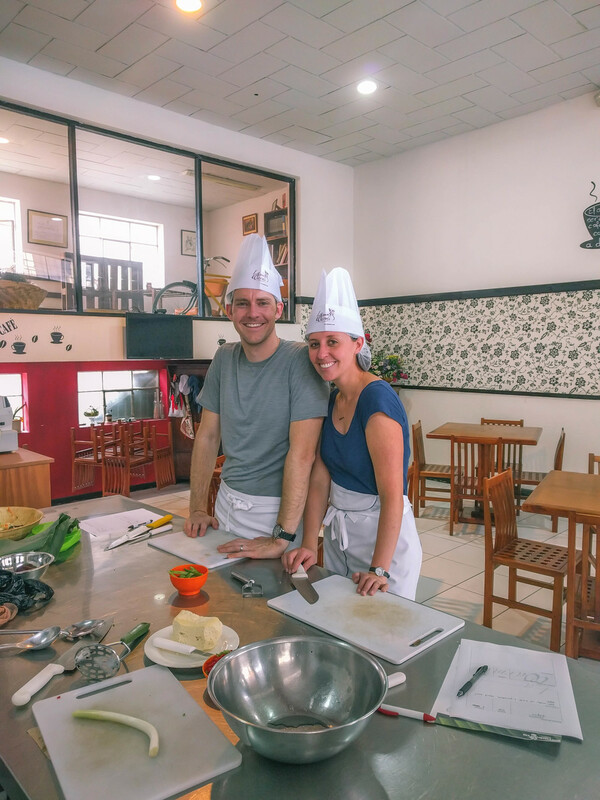 This category has varied from $50/night at a bed and breakfast in Peru to $8/night at a loft in Cuenca. We're averaging $26/night, which is great. Nate takes us on a little tour of the apartment we rented in Medellin, Colombia. We're primarily using Airbnb and Hostel World to find cheap accommodations. Check out more about the places we've stayed on our Accommodations page. Boarding our flight from Cartagena to Medellin. The rest we've done overland by bus. Our goal with major international flights is to use some of the 864,000 miles we've accumulated, but these shorter flights were inexpensive so we're saving those miles for our long legs, like the flights we booked from La Paz, Bolivia, to Cape Town, South Africa, for 60,000 miles and $161. We've done a ton of tours already. 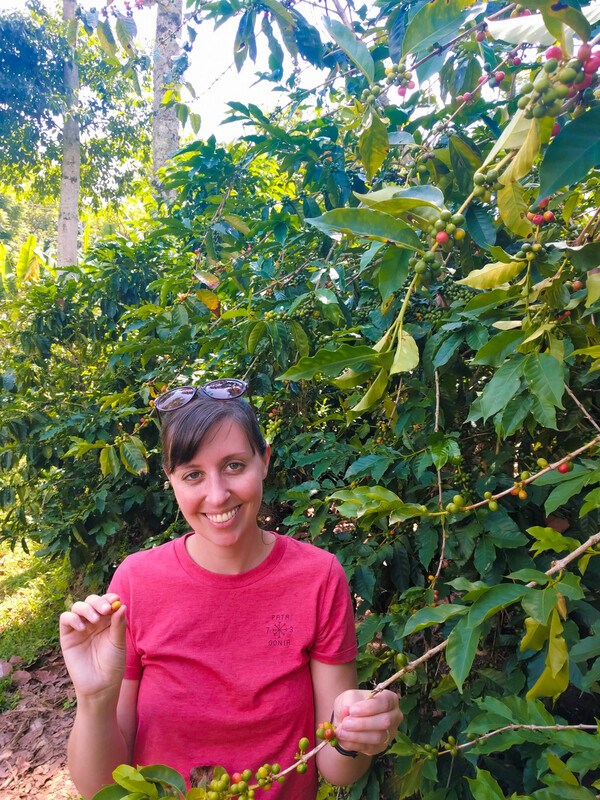 We use TripAdvisor to see what's highly rated in each place and so far have really enjoyed Medellin's exotic fruit tour, our coffee farm tour in Salento and a market tour and cooking class we took in Cuenca. In Cuenca we took Spanish classes for two weeks at Simon Bolivar Spanish School. We worked with individual teachers for 3 hours each morning and got to attend cultural events with the school as well. Students and teachers cooking for Carnaval. This category doesn't include our flights but does include every bus ticket and taxi expense. While these are low, we're still including them. This category includes monthly payments we still have back home like my car insurance and Nate's Project Fi phone plan. We brought a bunch of medications for things like altitude sickness and malaria prevention, but we've still bought a few little things, namely Cipro in Cuenca when we thought we may never stop pooping. We treated tours differently, but this category includes books we purchase, movies we see and other shows/performances. Like in Medellin when we went to see Star Wars! This includes little stuff we've needed for our accommodations like in Cuenca when we bought a small pitcher to make it easier to use our Steripen. We've also bought stuff like shampoo and contact solution. What do you think about our total expenses for our first month? Did we spend too much? Too little?